8 5/8 L x 5 3/8 H x 4 1/4 D in. 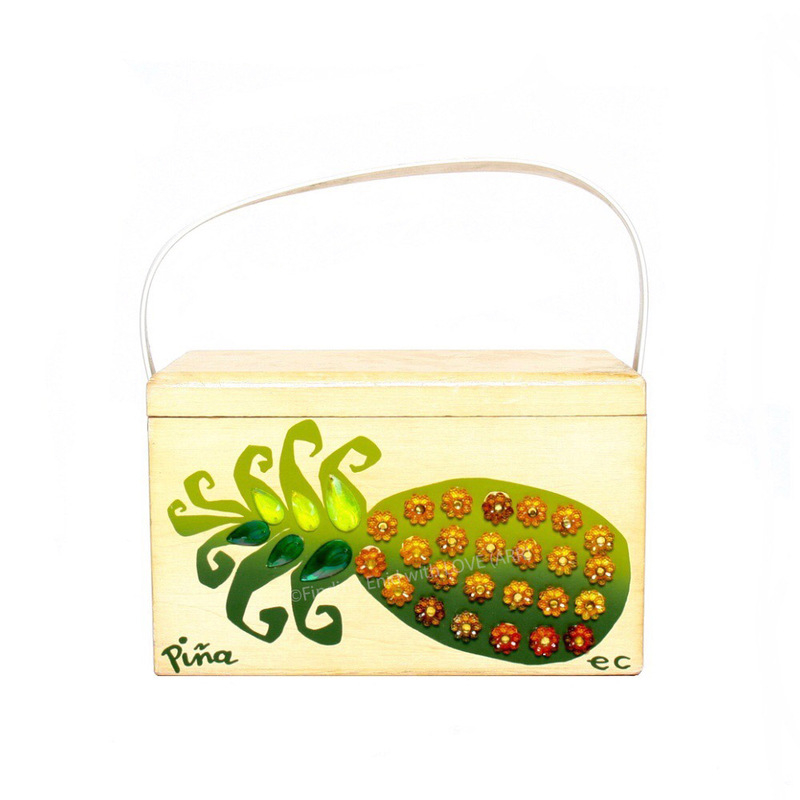 Top-opening box purse of blond wood screen printed in a gradient from emerald to light green, depicting a stylized pineapple on its side. Leaves are embellished with Emerald and light-green imitation gemstones, and skin with small acrylic flowers in transparent light and dark amber. "Piña," Spanish for "pineapple," serigraph in hand-script printed style appears in the lower left corner.